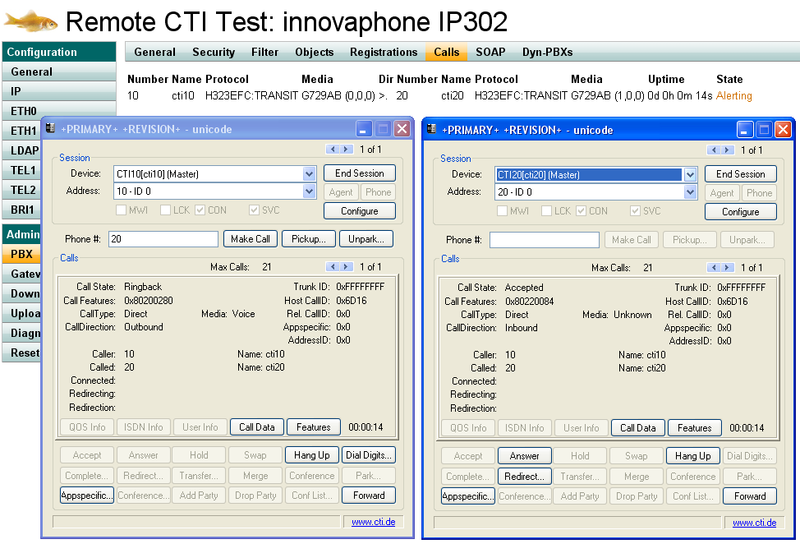 innovaphone provides a CTI Test PBX. 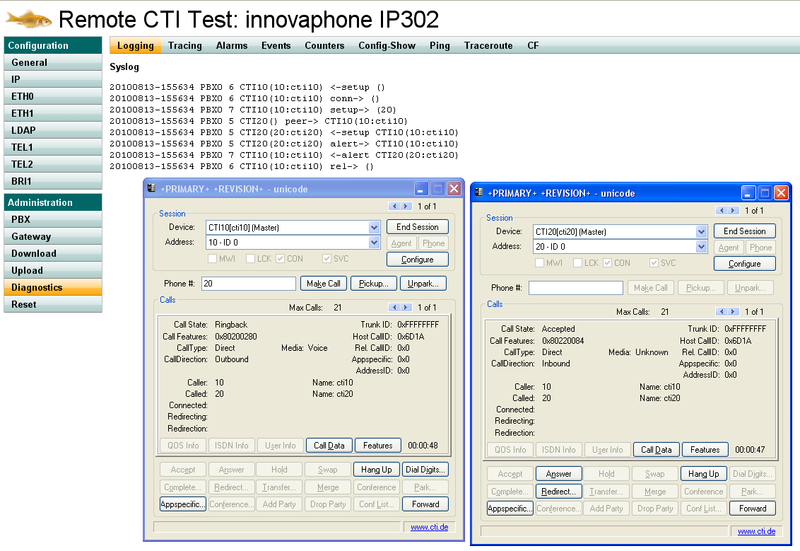 This system allows partners to do a quick test of their CTI software easily without the need to set up their own system. 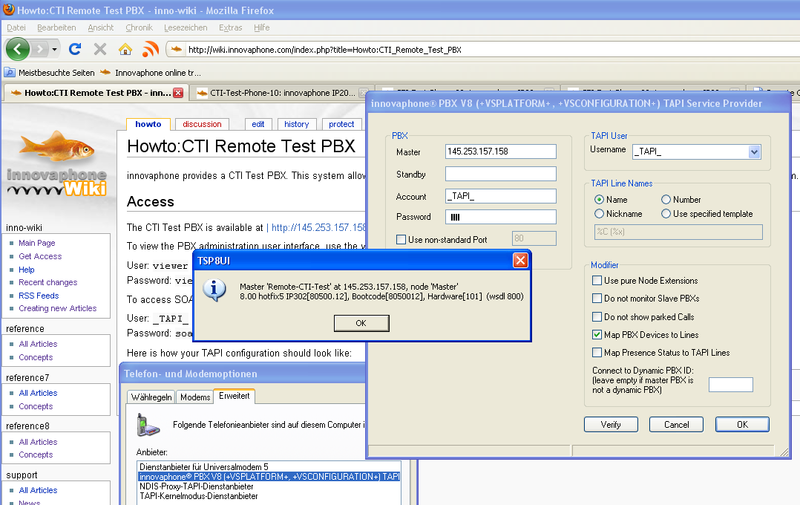 The PBX currently runs V8.00 hotfix5 but will be update to the then-current version once in a while. Please note that although this is a version 8 firmware you can run wsdl501, wsdl700 and wsdl800 based SOAP applications against it (that is, V5, V7 or V8 TSP). 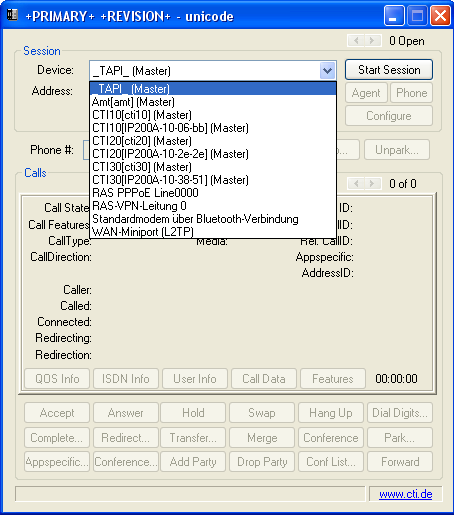 You can simulate external calls by having one of your lines call out to the trunk line and back into the system. E.g. 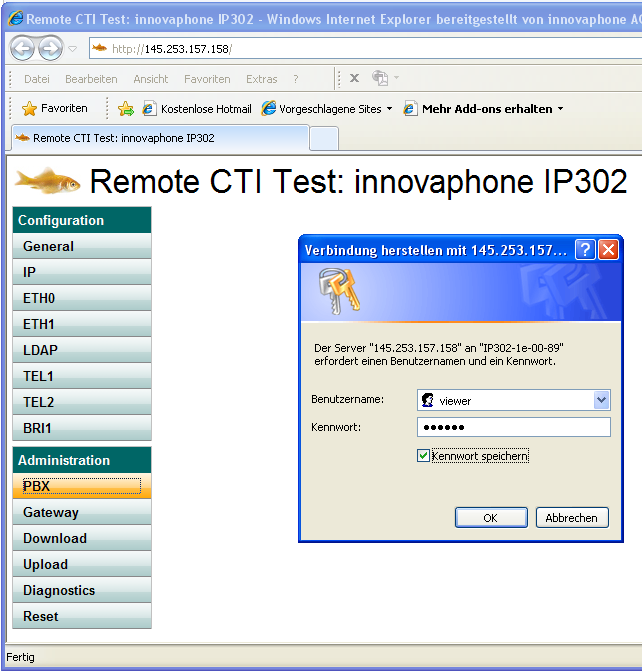 dialing 0070317300920 will call out to the trunk and then back in to the system to exension 20. 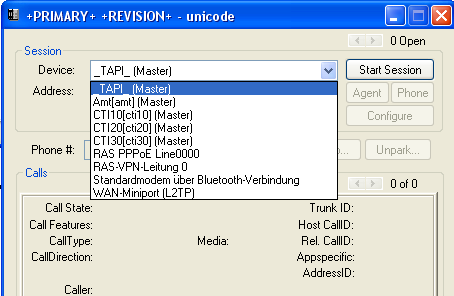 It is in fact not possible to call destinations not within this PBX, all other numbers will result in an unallocated number cause code. There are 2 places which are useful to see what is going on. This page was last modified 17:26, 11 December 2018.